Jesse Gubernat completed a four day jury trial in Lee County and co-counseled th case along with our client's nationwide counsel. The Plaintiff was a 33-year old female who was stopped in bumper-to-bumper traffic when she was rear-ended by our 72-year old client. Our client's wife was a passenger in their vehicle. They both testified that the impact was just a "bump" whereas the Plaintiff testified that the impact "violently" jarred her forward and back. There was only $1,200 worth of property damage to the Plaintiff's vehicle, but over $10,000 in damage to our client's vehicle. We admitted fault and were fighting causation and permanency. The Plaintiff had been suffering from lower back problems for two years prior to our accident, and had a recent laminectomy just five months prior. She also had life-long depression and anxiety issues that had led to an involuntary in-patient treatment just 30-days before our accident. She was taking significant amounts of prescription pain medication and was struggling to stay awake at work. Plaintiff testified that she was doing great just before our accident, was almost pain free from her prior surgery, and excelled at her job. The Plaintiff dropped the mental anguish claim the morning of trial, despite our argument that the claim was too intertwined with the bodily injury claim. The Plaintiff's expert, who saw her both before and after our accident, issued an opinion that the Plaintiff was permanently disabled and could never work again. The expert also testified that the Plaintiff would need a permanent spinal cord stimulator implanted in her lower back along with lifetime pain prescription medications and treatment. Our CME physician opined that the Plaintiff had degenerative changes on all of her diagnostic studies and that our accident caused, at most, an aggravation of a low back sprain/strain which would have healed in 90 days. The Plaintiff's vocational rehabilitation expert stated that the Plaintiff would never work again in even a sedentary type position and that the life care plan amounted to over $900,000 in future medical costs. Our defense rehabilitation expert opined that the Plaintiff could and should have returned to work within 90 days of her accident. We argued that her lost wages amounted to less than $5,000 which was more than $630,000 less than what the Plaintiff was alleging. In our closing argument, we told the jury that if they do find causation that they should cut off treatment after three months at the most. We requested the jury award up to $17,000 in past meds, $4,500 in lost wages and nothing else. After a short deliberation, the jury agreed and awarded our recommended figures. They found no permanent injury. Plaintiff counsel requested $1.4 to $1.8 million in their closing argument. 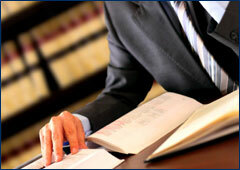 We will be seeking payment of fees and costs on behalf of our client.